I love hearing the song of the Phoebe. It means spring has arrived! 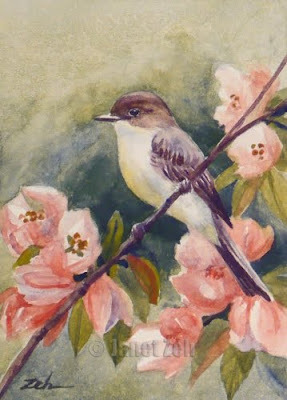 Here is one of these little birds sitting in a blossoming crabapple tree.